These two are at opposite sides of the coin, she wants the forever kind of love she didn’t have with her late husband and he’s always shied away from marriage. Though they’ve known each other since childhood, the grown-up years are vastly different from that idealistic world. Wade could lose his beloved ranch and Kit could lose her precious babe. Seems God has placed them in each other’s lives again for a purpose neither one could see, now how will He convince them of that? Jill Kemerer writes stories that tug at your heart and always makes me feel every emotion possible. I also appreciate that she doesn’t sugar coat the messy side of life, making her characters more real to me. Kit and Wade struggle with internal doubts and fears just like the rest of us do. And just like us, have to learn to lean closer to the One who understands and can calm those fears and dispel those doubts. These two are good for each other, once they begin to realize it for themselves. Wade can give Kit unconditional love and acceptance, she can give him the belief and confidence in himself he once had. I loved seeing this story play out on the pages and definitely rooted for their happily-ever-after! Wholesome and heartfelt, faith-filled and soul satisfying, you don’t want to miss “His Wyoming Baby Blessing”. 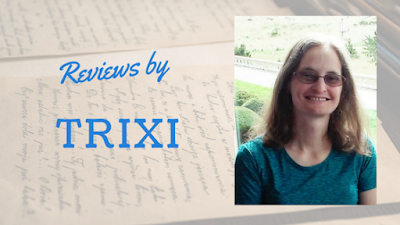 Trixi: I've read many of your Love Inspired books and enjoyed them so much! 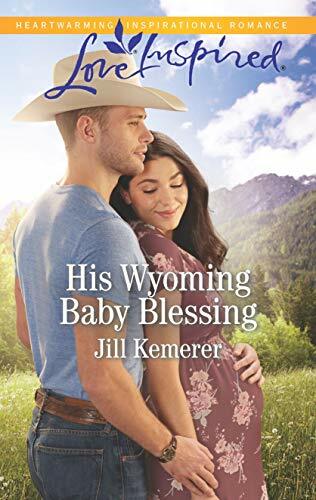 What first sparked the Wyoming Cowboys series? Jill: I was browsing through a magazine in a waiting room, and I came across an article about a man who’d been swindled out of his property. It was so sad! I knew I had to write about a cowboy who’d lost his ranch. That character became Clint Romine in the first book, The Rancher’s Mistletoe Bride. I’d also been reading a lot of memoirs at the time, and one of them was Jimmy Wayne’s Walk to Beautiful: The Power of Love and a Homeless Kid Who Found the Way. It’s a powerful story. The group foster homes he described sounded awful, so I decided to create a fictional one that was actually good. It’s where the heroes in this series originally became friends. Trixi: Was there any particular character (hero or heroine) in this series that really stood out to you? Jill: Yes, Amy Deerson in the second book, Reunited with the Bull Rider, just broke my heart. I cried so many times writing her story! I felt so bad for her. When Nash reentered her life with his neglected little sister, Amy was forced to make difficult decisions, and I admired how her faith pushed her to help Ruby. I don’t think I would be as generous as she was! Trixi: Tell us what kind of research you did for this series? Did you travel to or visit any place for your book setting? Jill: No, I was unable to travel, unfortunately. Most of my research was done from home. I read historical books and blogs about Wyoming and ranching. I also read a few memoirs written by people who’d lived there. Before Google+ shut down, I found a terrific group of people from Wyoming who shared gorgeous photographs and were willing to answer questions I had. A lot of my research involved tracking down information on the internet. Trixi: How did you first start writing for Love Inspired? Jill: I’d submitted to Love Inspired and Love Inspired Suspense several times before taking a few years off to concentrate on writing single-title books (they’re the longer books). In 2014, Love Inspired held a contest to find new authors. I figured, why not? The contest allowed you to choose which editor you thought you’d be matched best with, and I saw a name I didn’t recognize. Shana Asaro’s wish list matched the types of books I liked to write. I signed up for a pitch and ended up getting my first contract. That’s why I always recommend entering these types of contests. Trixi: This is a two-in-one question. What is the least favorite part and most favorite part of writing for you? Jill: The least favorite part of writing for me is the first ten minutes each day when I’m writing a first draft. I have to force myself to sit there and start typing. It’s so intimidating! Those first ten minutes, boy, they are rough! My favorite part of writing? I love the moment when I know I’ve revised and polished a book to the best of my abilities. Getting a box of advance copies is super cool. Seeing my books on store shelves? The best! And I love reader mail. I also enjoy brainstorming and playing around with ideas. Trixi: Was there a person in your life who first encouraged you to be a writer (family member, friend, etc)? Jill: No, I never really considered being a writer. I’d written for fun most of my life, and when I was twenty, I began playing around with actually writing a novel. But it didn’t occur to me I could write novels for a living until I was in my mid-twenties. Trixi: What message do you want readers to get out of your stories? Jill: I want readers to be strengthened in their faith and to be inspired in their own lives. So many times I’ve read a book where the heroine had to make hard choices, and her courage motivated me to be braver. I want that for my readers, too. Trixi: Lastly, tell us more about yourself outside of writing; family life, pets, hobbies or interests, etc. Jill: I married my high school sweetheart, and we have two almost-grown kids. Our son is a junior in high school, and our daughter is a junior in college. We also have a mini-dachshund, Sophie, who lives on my lap. I’m a small-town girl and love being outside, walking in the local parks or just soaking up some sun. My favorite thing to do is read, and I love baking, too. You could call me a coffeeholic and a chocoholic, and you wouldn’t be wrong! Thanks so much for having me today. I enjoyed it! 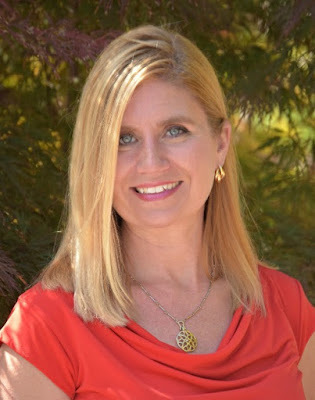 Jill Kemerer is a Publishers Weekly bestselling author of inspirational romance novels for Harlequin Love Inspired. She loves coffee, M&Ms, a stack of books, and long walks outdoors. She resides in Ohio with her husband and two almost-grown children. Please visit her website, jillkemerer.com, and sign up for her newsletter.